Somali militant group al-Shabaab could be facing financial trouble due to increasing loss of territory and revenue streams, experts say. Al-Shabaab may lose support from many Somalis due to the brutality of their attack in September on an upscale shopping mall in Kenya’s capital, Laura Hammond, a senior lecturer at the London-based School of Oriental and African Studies, told Al Arabiya. “Ordinary Somalis who might have once supported them are probably repulsed by their actions, and may be unwilling to provide resources,” said Hammond. It is “very hard” to see how the attack could have a “positive impact” for the group, she added. Due to the opportunities that anarchy and lack of government can present any group with a steady supply of money and manpower, al-Shabaab is able to receive multiple revenue streams. Enterprises include extortion, as well as taxing the transport and export of charcoal to the wider Arab region. A U.N. report estimated in July that al-Shabaab earned more than $25 million a year from the charcoal business. “The largest part of their finances actually came from the charcoal trade,” said J. Peter Pham, director of the Africa Center at the Atlantic Council, a Washington DC-based think-tank. The immense size of al-Shabaab’s charcoal trade has resulted in an unfortunate environmental impact, leaving Somalia’s forests decimated, added Pham. “Somalia was at one time 15 percent forested. Al-Shabaab has probably reduced that by two thirds,” Pham told Al Arabiya. 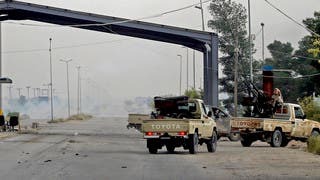 Ed Blanche, a Beirut-based insurgency and counter-terrorism analyst, told Al Arabiya that al-Shabaab’s finances were already in a poor state before the attack due to Kenyan intervention, having lost the strategic port city of Kismayo to Somali government and African Union troops in 2012. “It’s probably the loss of funding that helped drive them to attack the Kenyans,” said Blanche. “The Kenyans took away Kismayo [which al-Shabaab used to control the export of products], which was their main source of revenue, and the main thing they had going there was the charcoal trade, which is quite lucrative,” he added. Stig Jarle Hansen, author of the book “Al-Shabaab in Somalia: The History and Ideology of a Militant Islamist Group, 2005-2012,” agrees that losing Kismayo led to the Nairobi attack. “The fall of Kismayo was very important symbolically. 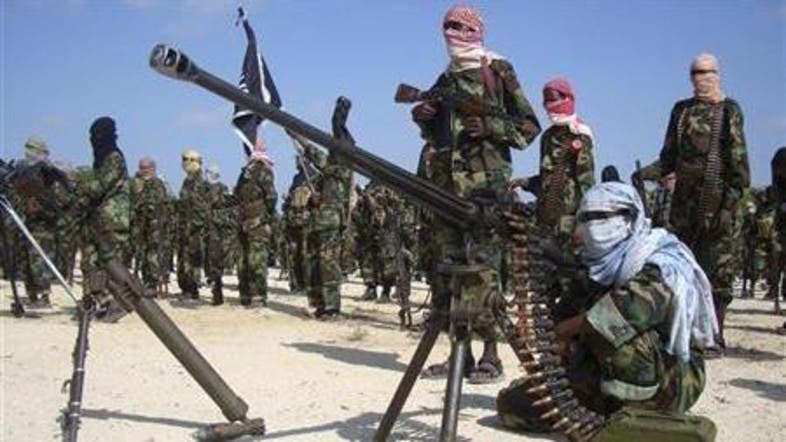 This was maybe one of the largest defeats of al-Shabaab ever,” Hansen told Al Arabiya. Taking a leaf from the mafia’s book of best practice, al-Shabaab also taxes small businesses, and sets up front companies whose income is channelled to the group. Taxing small shops that perform functions such as car repair or mobile-phone charging also serves to form a spidery network of messengers and informants. Shopkeepers who do not agree with al-Shabaab are usually convinced of the need to cooperate when faced with the threat of having an arm or leg amputated by a not-so-friendly local al-Shabaab representative. Al-Shabaab was able to generate up to $100 million in revenue per year, with much of that likely from selling contraband over the Kenyan border, according to a U.N. report in 2011. Other income sources include support from sympathetic Somali communities in the United States. Earlier this year, two Somali-born U.S. citizens were sentenced by a federal court for soliciting donations for al-Shabaab in Somali neighborhoods in the United States and Canada, and then sending the money to the group, CNN reported. Al-Shabaab could likely be receiving donations closer to home. Kenyan authorities should monitor places with large Somali communities, such as Nairobi’s Eastleigh neighborhood, which has numerous money-transfer outlets, according to a report on Globalecco.org. Taking a cut from the spoils of Somali pirates attacking foreign merchant ships off the country’s coast has often been cited as a possible lucrative revenue stream for the group. However, Peter Lehr, a lecturer in terrorism studies at the Scotland-based University of St. Andrews, says piracy is no longer lucrative in the country. Somalia’s growing economy may pose a threat to al-Shabaab - rising Gross Domestic Product is likely to lower the motivation of gunmen paid between $100 and $500 a month. Decreasing sources of income from a Kenyan military backlash against rebel-controlled areas of the country could also result in al-Shabaab no longer being able to pay monthly salaries to its militiamen, many of whom are not sufficiently tempted by the prospect of the nationwide implementation of sharia law. “Somalis by and large aren’t jihadists, but they’re certainly one of the most entrepreneurial people around in the world, and if they can extract a better deal from, let’s say, the government or private sector or something like that, they will,” said Mark Schroeder, an expert on African political and security affairs with Stratfor, a global intelligence firm. Most Somalis are not restricted by devotion to a single movement or cause, he added. “If al-Shabaab is willing to pay them some money to become a foot solider, they’ll take it, but allegiances and loyalties don’t go very far in a place like Somalia,” Schroeder told Al Arabiya. Although weakened financially, al-Shabaab “probably has enough [funds] to remain lethal,” said John Campbell, a senior fellow at the Council on Foreign Relations, a New York-based international affairs and foreign policy think-tank. Hansen believes that the group may be undergoing a dramatic structural change that could result in future funding sources being changed. “Al-Shabaab is becoming more of a regional phenomenon,” Hansen told Al Arabiya. The Nairobi attack points to a possible shift away from Somali-based activities towards more al-Qaeda-style terrorism outside the country, which would render existing methods of earning revenue through holding Somali territory obsolete. “I see it [al-Shabaab] going from insurgency-style operations to more emphasis on terrorism,” Hansen said. Pham also believes that the group may mutate into a global terror network with a far more clandestine presence.